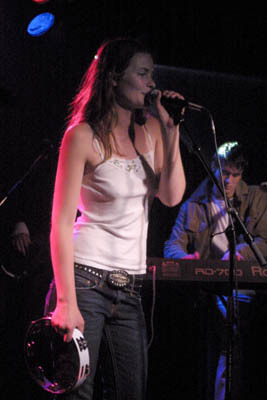 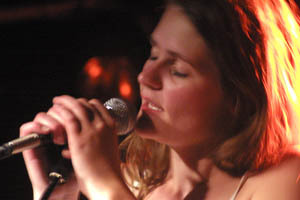 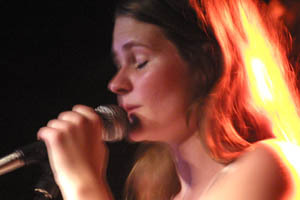 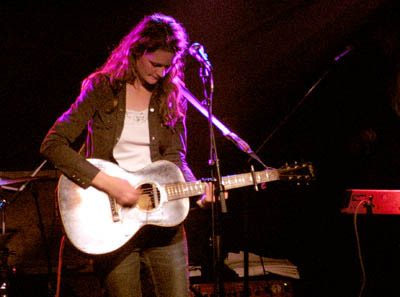 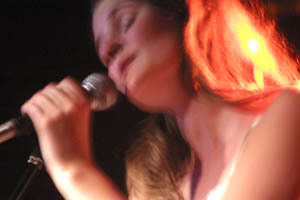 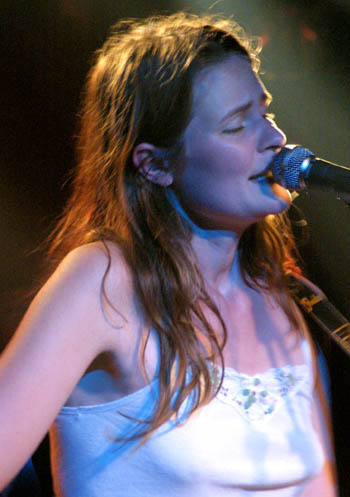 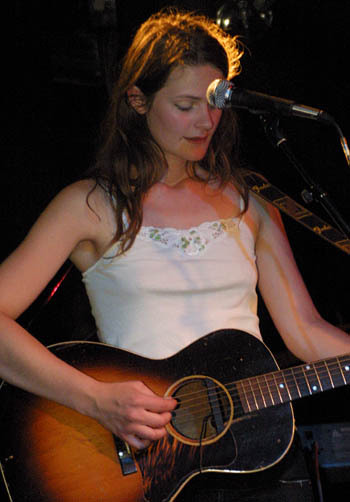 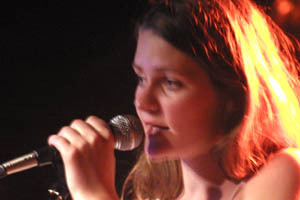 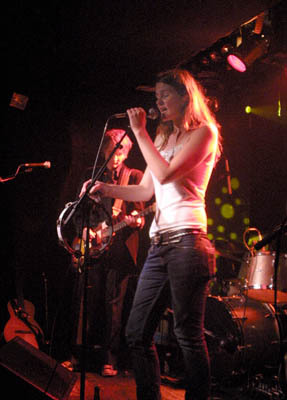 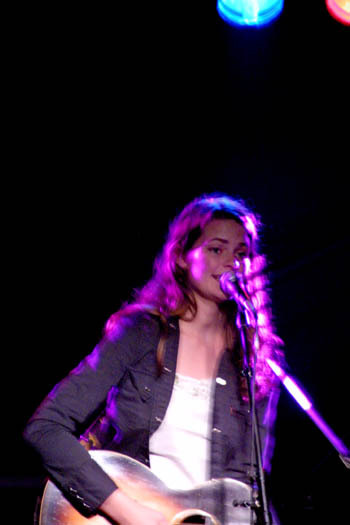 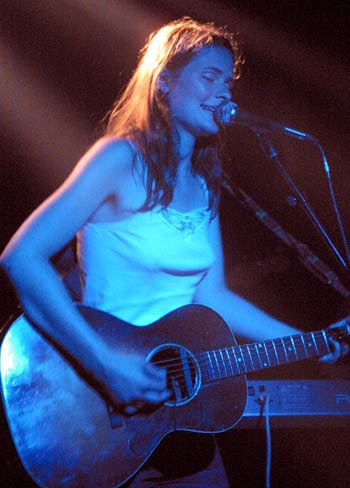 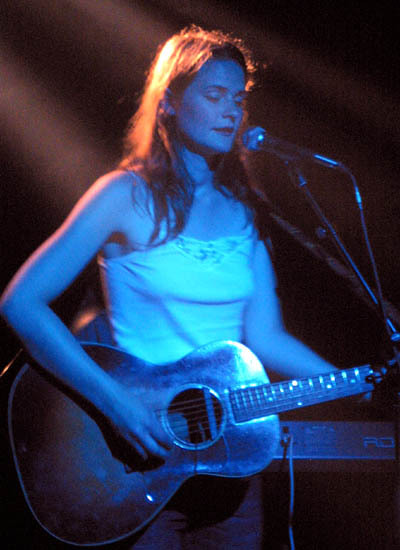 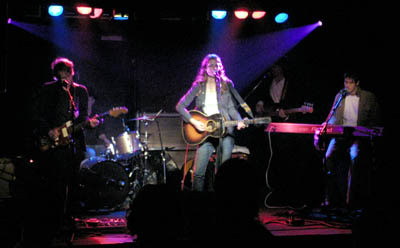 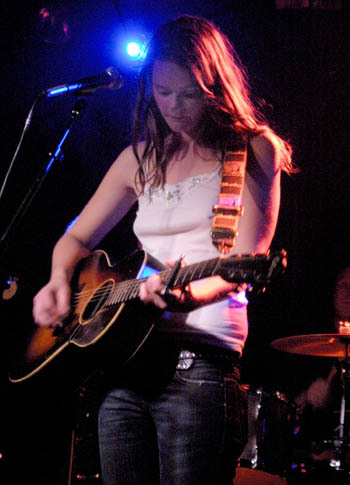 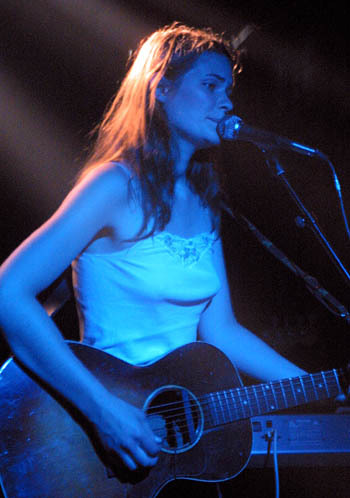 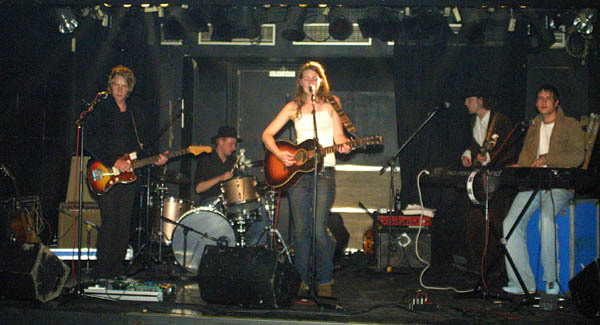 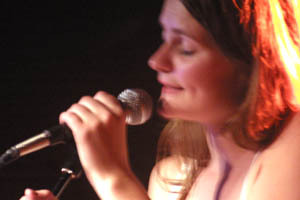 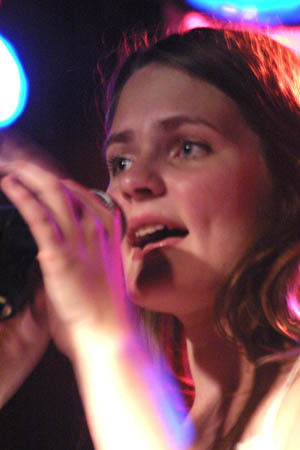 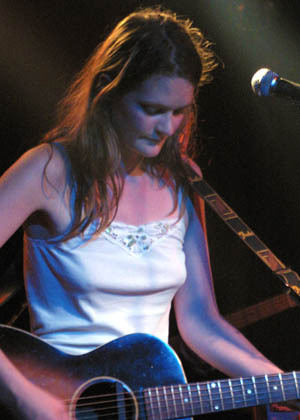 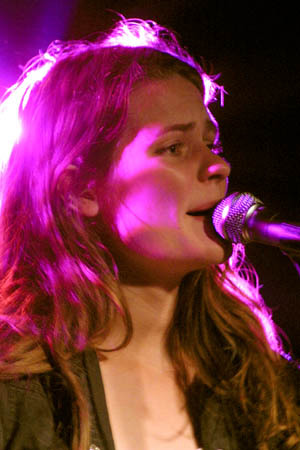 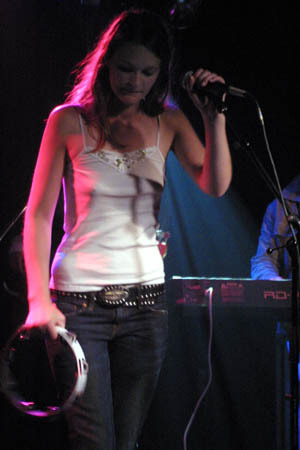 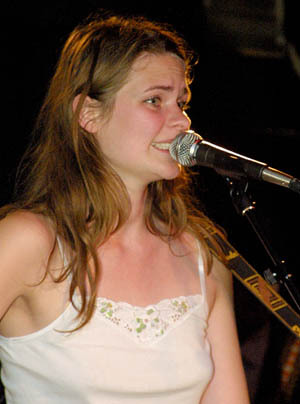 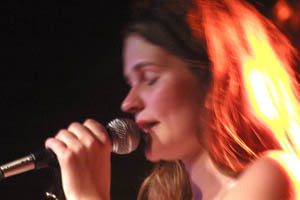 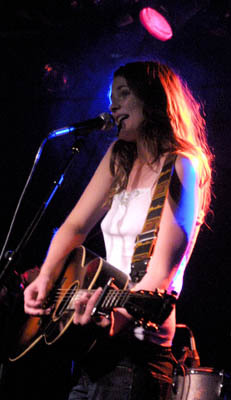 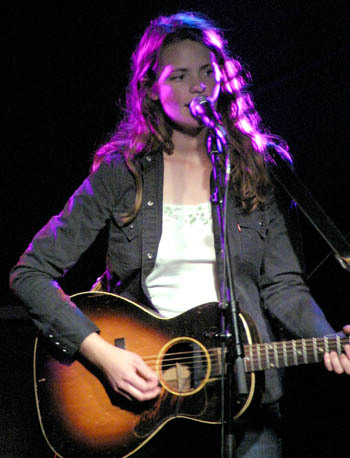 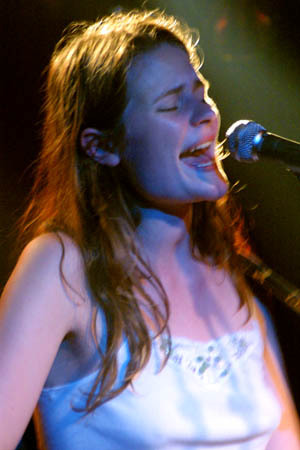 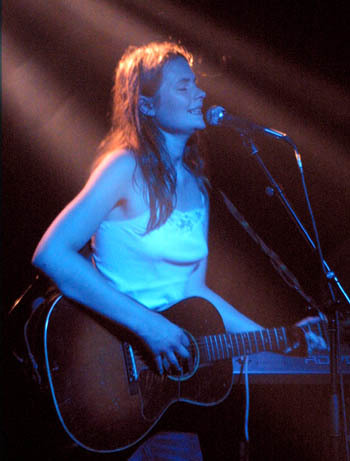 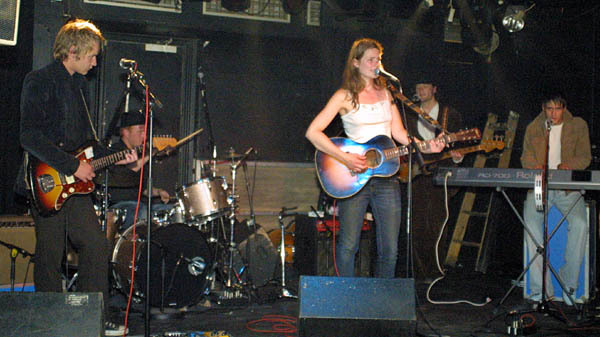 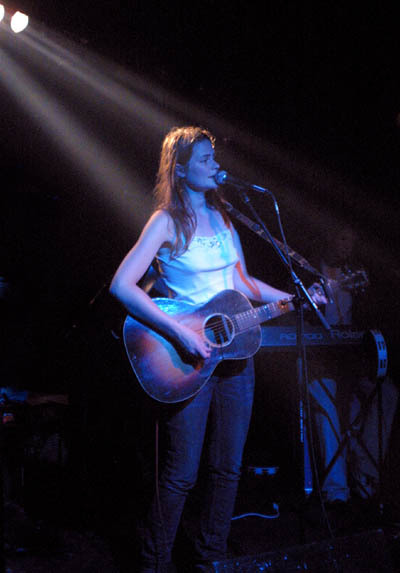 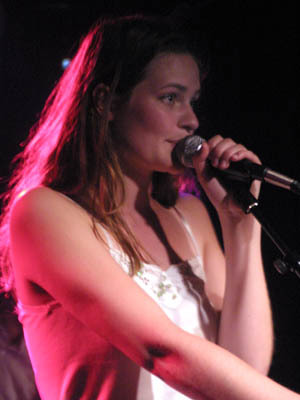 Though suffering badly from a "midsummer flu" I had to see Maria performing with her excellent band on the opening concert on her 2004 Summer / Fall Tour. 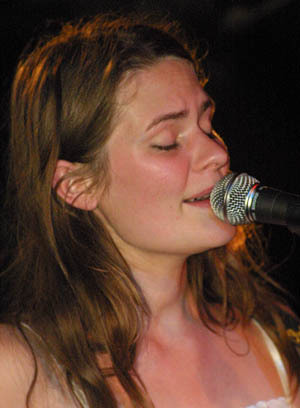 Maria Viskonti has become one of my absolutely favorite artists at the moment and I belive that she has a great future within the Danish Rock Scene, if she's got the needed personal will power and strength to aim for it. 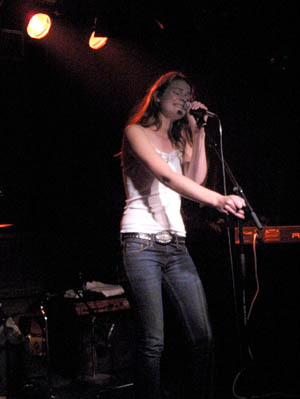 And of course some efficiently working promotion management, as well. 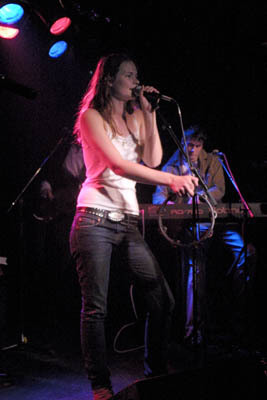 The show this night was part of the Club Yeah Yeah events taking place at Rust, - this evening's opening act was upcoming band Maborosi (see pics from their set here). 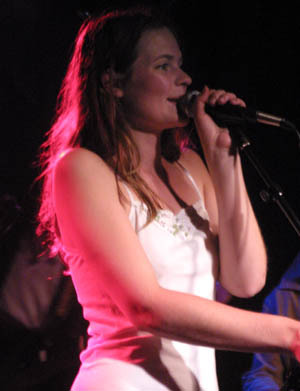 Though I still miss some "wildness" in the performing act, you have all the young energy and wildness, you could ask for in the music. 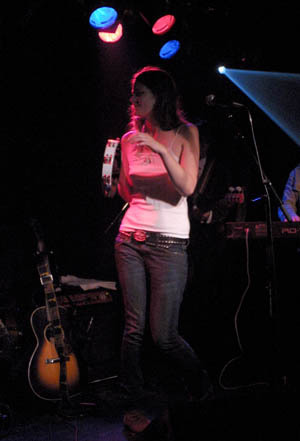 Maria told me that the band hadn't rehearsed as much as they intended prior to the concert. 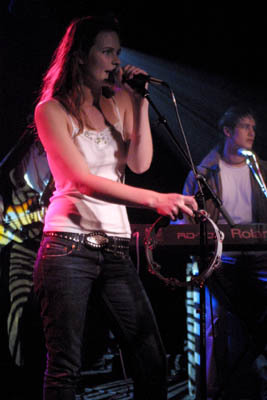 But for me that meant a more exciting performance, thus almost being a public rehearsal, with all that unspoiled energy, which is rare at today's designer bands. 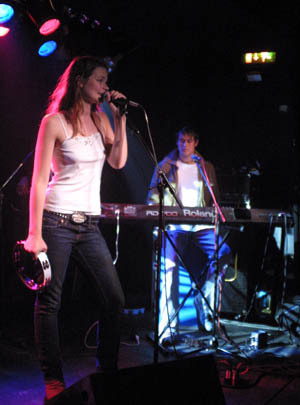 I would rather listen to a couple of false starts and loose endings, than witness a stereotyped copy of an album replayed live at stage! 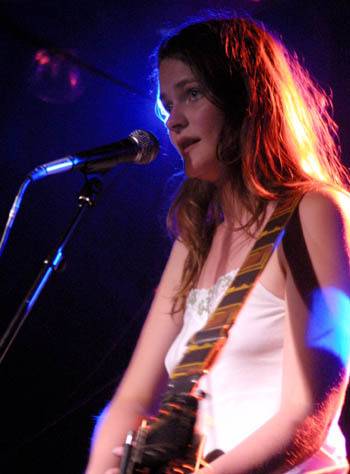 And though still being in their early youth, they play very professionally and seemed to be more comfortable at stage, compared to the debut concert on the same scene at Rust some four months earlier. 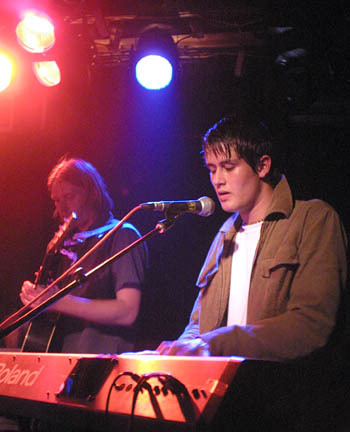 We got some of the album songs, added by two unreleased songs. 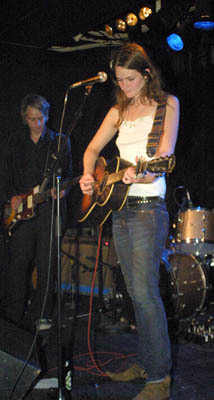 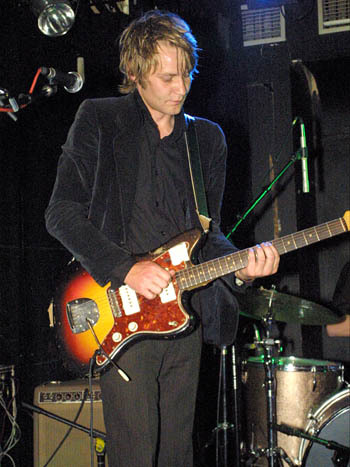 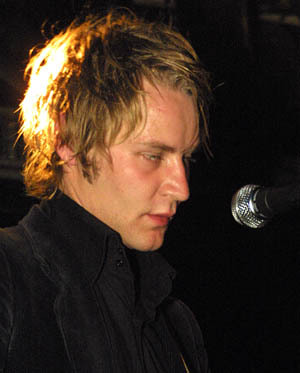 One of them being See The Saddest Girl, which had colleague musician, Alex Hemmingsen, from the band, Azeta, on additional acoustic guitar. 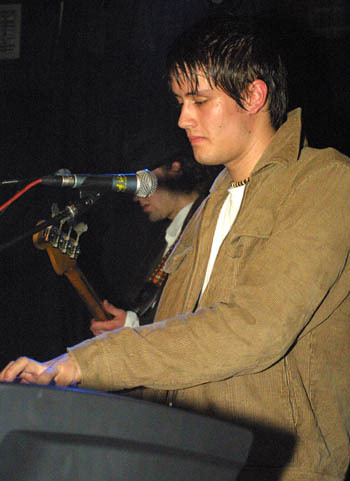 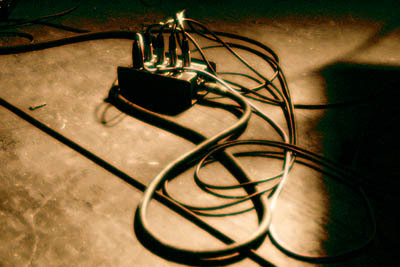 The keyboard player, Philip Strangebye, is nothing but a scoop for the band. 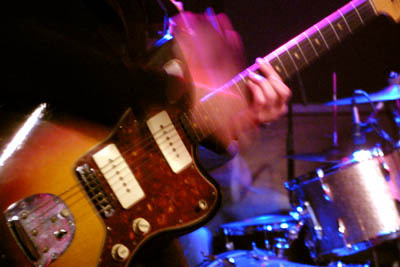 His playing adds a pure mid-60's Dylan-touch to the sound.